1. Cleaned and pat dry cornish hen using kitchen towel. Mix salt, Chinese five spices, chicken stock powder/Ajinomoto. Rubbed the mixture inside and out of the hen, marinate the chicken for at least 3 hours in the fridge. 2. Stuffed star anise and spring onion into the stomach of the hen. 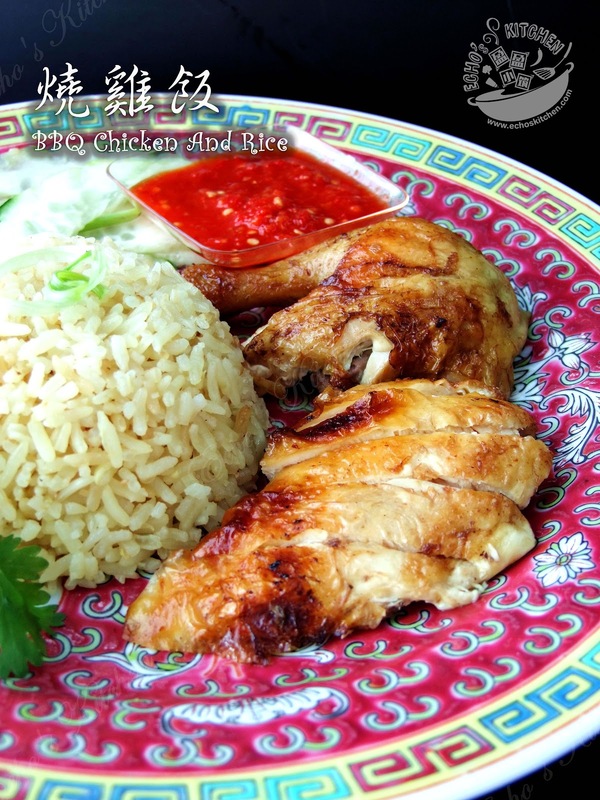 Place it over a baking tray, spray/brush a thin layer of oil over the chicken. Preheat oven to 400F（200C). 3. Place the chicken in oven with convection fan on, bake for 20 minutes (If your oven does not have convection function, add 10 minutes more to the baking time. Turn the chicken once in between. 4. 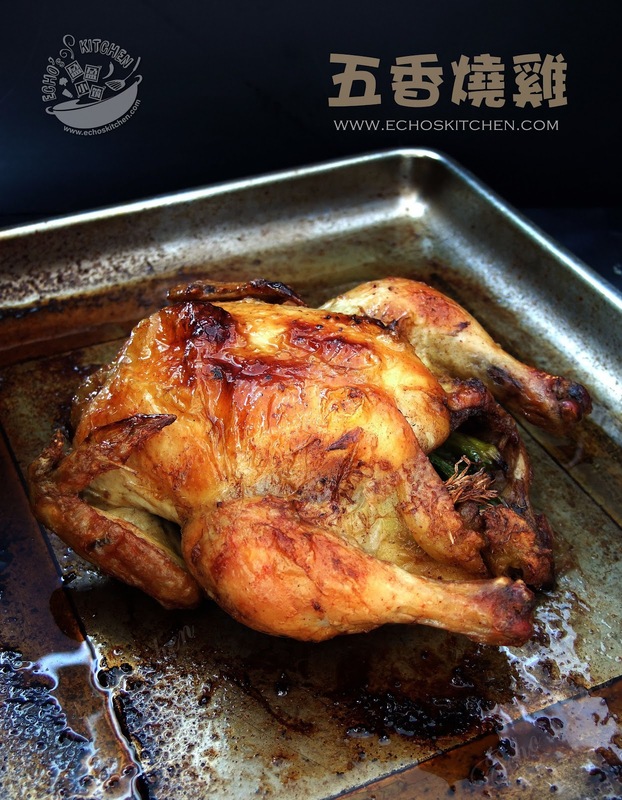 Switch oven to broil and broil the chicken for 8-10 minutes or until it becomes golden brown in color. 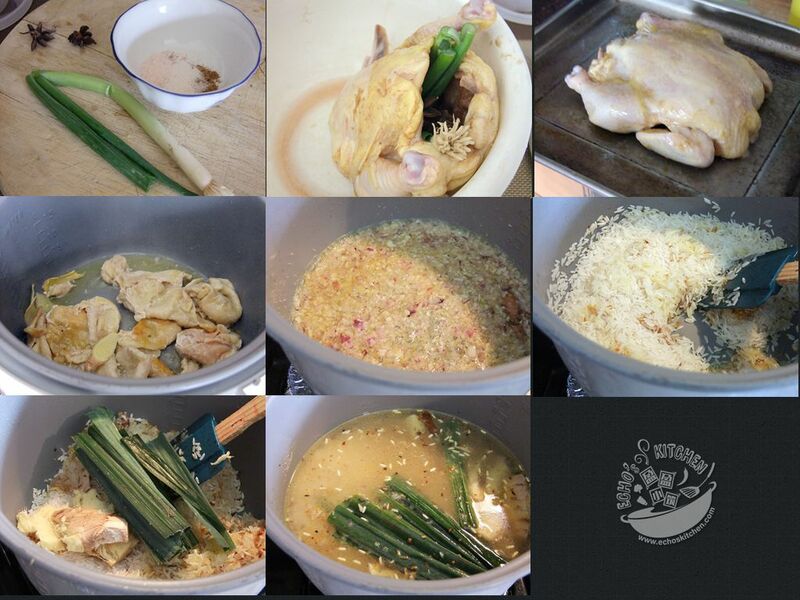 Take it out and remove spring onion and star anise from stomach. 5. 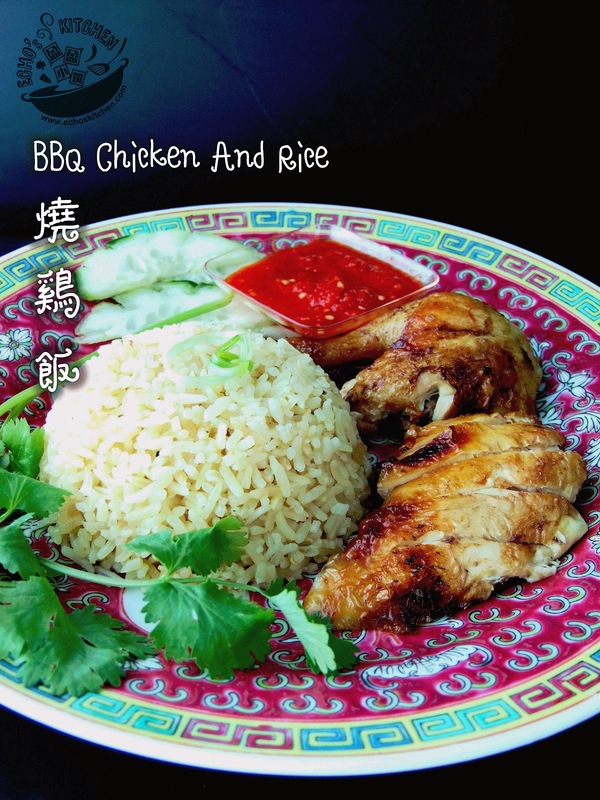 Make the chicken oil rice while chicken is baking in the oven. Washed and drained the rice, minced shallots and garlic. 6. Render chicken oil from skin and discard the skin OR if you have ready made Homemade schmaltz (Poultry Fat) , heat up a few tbsp of it in a pot. 7. Stir fry minced shallot and garlic until fragrant, add the washed rice and cook for few minutes. Place the rice, screwpine/pandan leaves, ginger and salt in a rice cooker with 2 1/2 cups of water, cook the rice according to your rice cooker manufacturer instructions. Remove screwpine/pandan leaves and ginger once the rice is done.